Stray animals is a huge problem facing animals in Egypt. They are mistreated, hungry, and are in serious need of vets. Not many people know about this issue, which is why I hope to create a documentary all about stray animals. Not even the zoo in Alexandria treats it’s animals properly. The zoo keeps the animals in tight spaces and abuses them. I would like to go to the zoo and expose how poorly the animals are treated. 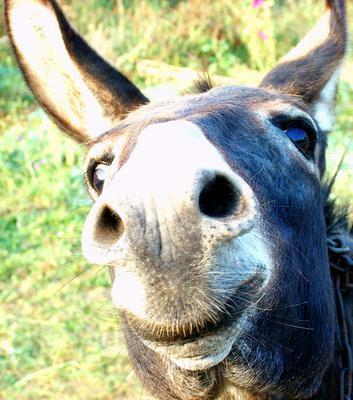 Many people use donkeys as transportation, and the donkeys are treated very badly and are always starving. They are hit with sticks and whips and are forced to carry heavy things. Many organizations have been created, yet none of them have made a big influence. Also, many cats, dogs and even kittens get hit everyday by cars and die. Some of them are lucky enough and they don’t die but they live suffering from permanent injuries for the rest of their lives. I would like to walk around my school as there are a lot of stray animals and take shots of various animals, such as: dogs, horses, cats and donkeys. Also, I would like to strap a camera on my my pet and use the footage for the documentary as B roll. I will also interview many people from the streets and ask them to say one word about how they feel about it. I will make a montage of the words and use that as an introduction. I think that I will face two main issues and the biggest struggle that I could face is that when I am trying to film in the zoo, the people there will not like that and they will take the camera away and break it, since Egypt is not known for freedom of press. I may also need a license to go there and take the videos, however I can pretend as if I am taking pictures. They will do so because they don’t want the world to know how poorly the animals are being treated. Another issue I will face is filming the donkey carriage owners, they might not necessarily be happy about me filming them. One of the things that motivates me to FINALLY studying film and, particularly, documentary film (I dream of being able to attend school for it) is precisely, a huge impulse to (as Kristen B said) "humanize the animals' and show the world that since we share the same important brain centers, systems and functions (I'm a psychologist and always interested in ethology as well) they DO SUFFER THE SAME PHYSICAL PAIN AND HAVE THE SAME EMOTIONS as humans do even if they can't express them verbally. Go ahead and do this documentary! I have travelled to Egypt and know what you are talking about. My heart especially went out to the donkeys who I noticed were suffering terribly. I hope you will take this on. Don't try to push too fast. Just keep your camera with you and when there's an opportunity to document the problem, you can shoot it. My question for you is this. As a society, does Egypt accept this type of treatment of animals.? If so, seeing abused animals in a film may or may not have the impact you want (they are already seeing it in the streets and will just turn away). Perhaps what's needed is to create a documentary (or mini-doc web series) that illustrates animal intelligence and how animals have feelings. HUMANIZE the animals.